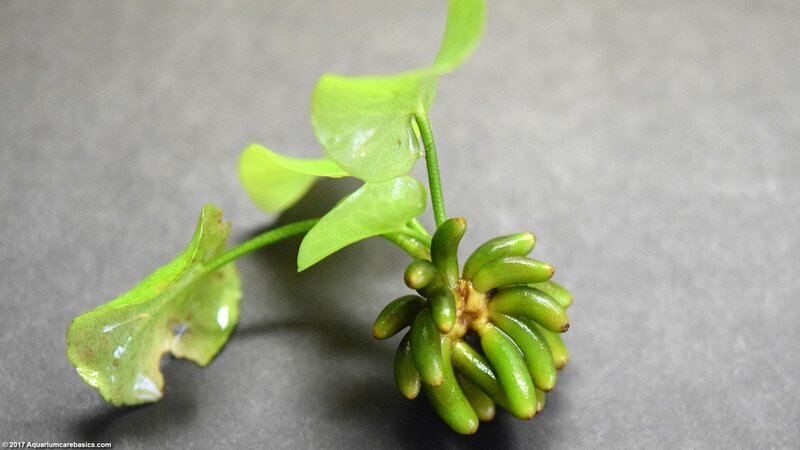 An Aquarium Banana Plant is another freshwater aquarium plant readily available in pet stores these days. 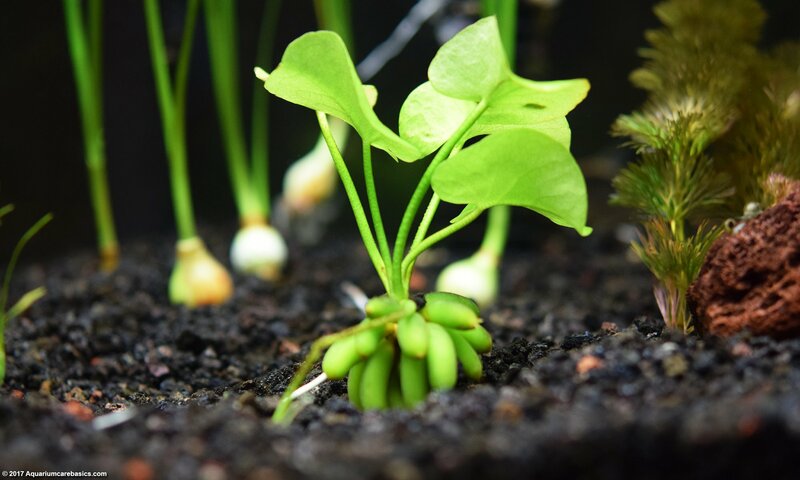 Often, an Aquarium Banana Plant may also be called a Banana Lilly, Fairy Water Lily, Big Floating Heart, Banana Plant, Aquatic Banana Plant, Freshwater Banana Plant or Nymphoides aquatica. 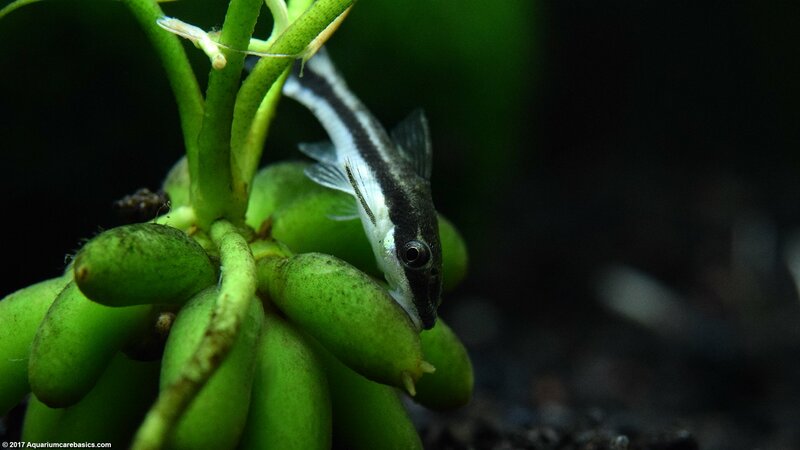 An Aquarium Banana Plant can make a visually interesting foreground plant due to its thick green tubers that give it its “banana-like” look. 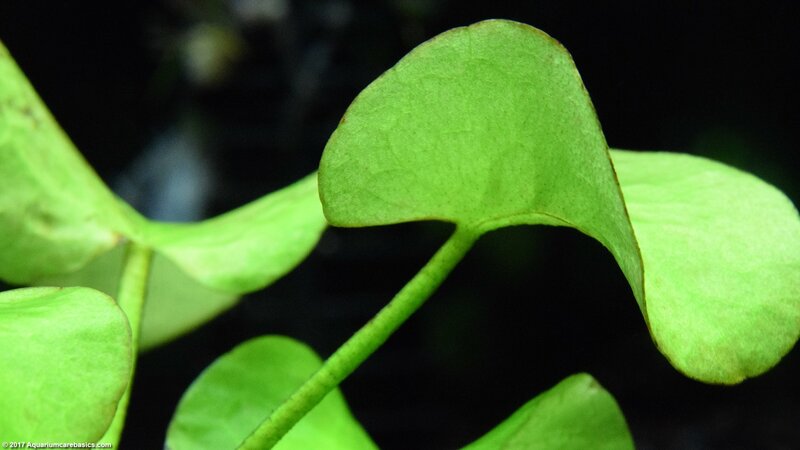 As the plant grows, it may produce a long leaf stem that will shoot toward the surface of the tank. 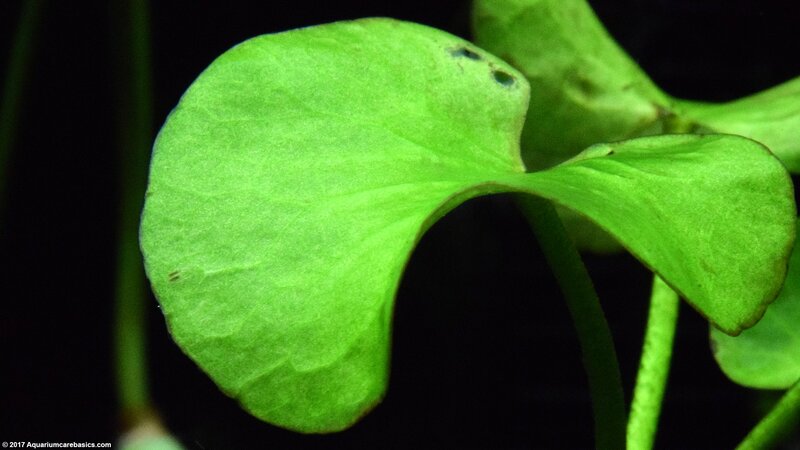 Also, the plant may even grow small white flowers just above the surface of the water. 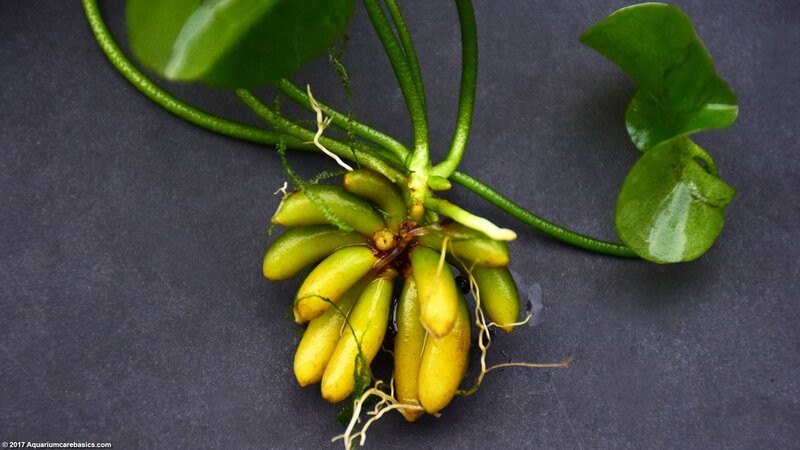 What Should I Look For When Buying An Aquatic Banana Plant? Where Can I See Aquatic Banana Plant Pictures? 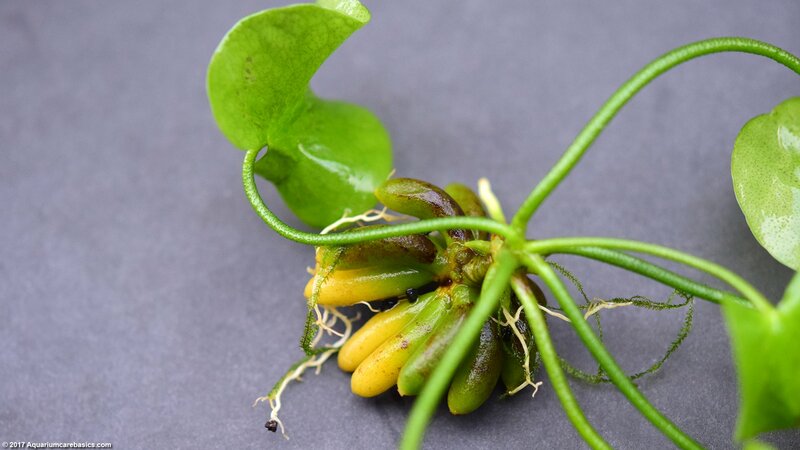 Is Aquatic Banana Plant Care Easy? 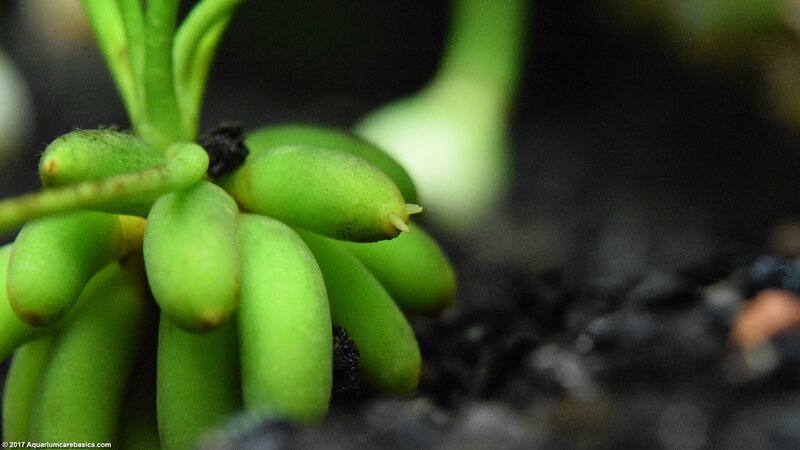 What About Planting An Aquatic Banana Plant? 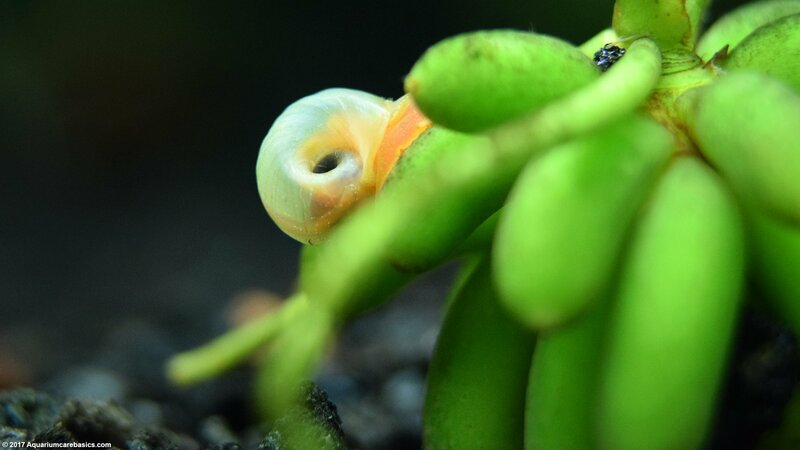 What to look for: When purchasing Aquarium Banana Plant, look for healthy green leaves, stems, tubers and roots. A healthy freshwater banana plant will have solid green leaves without holes, cracks or other damage around the edges. Leaf color can range from lighter green for newer leaves to darker green for older leaves. Damaged leaves cannot repair themselves, so if they have holes or are cracked, they may need to be trimmed off. If a plant has a damaged leaf or two, it still may be alright to buy. Just make sure there will be enough healthy leaves remaining after the bad leaves are removed. 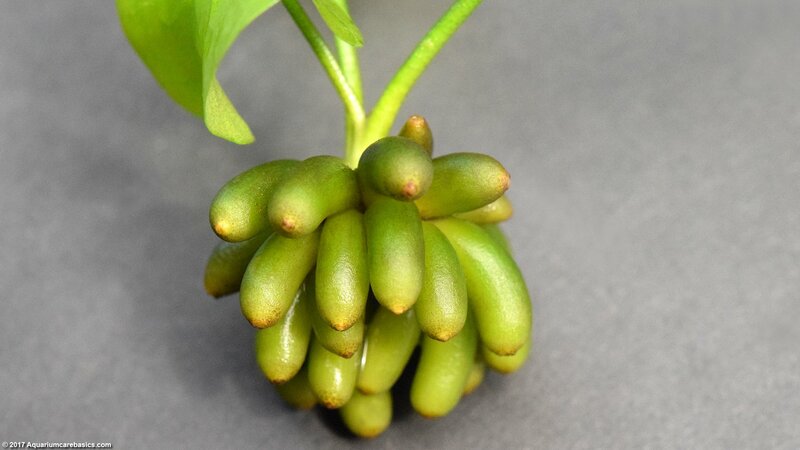 Another thing to look for when purchasing an Aquarium Banana Plant are the tubers. Tubers are the thick oblong tubes underneath the stem that give the plant its “banana-like” appearance. These tubers are the the part of the plant where nutrients are stored. Its from these tubers that Aquarium Banana Plant roots will grow. So its important to make sure that the tubers look healthy. A healthy cluster of tubers will be numerous, thick, green and free from cracks or cuts. 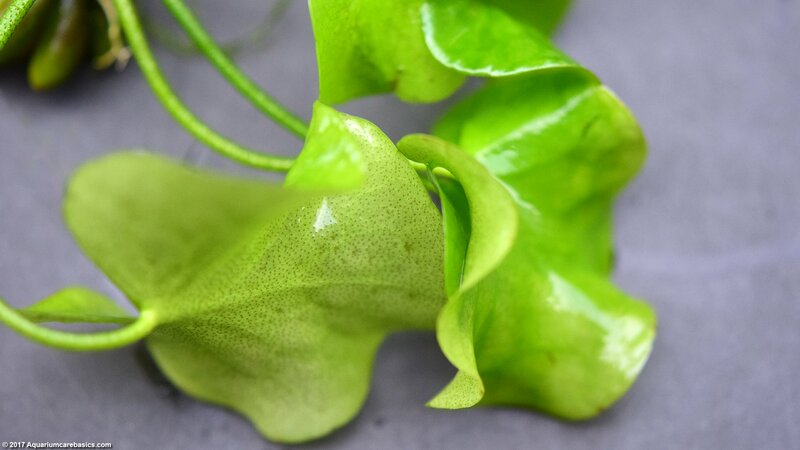 Finally, its a good idea to look for plants that are free from visible algae growing on the leaves, stems or other parts of the plant. Aquarium Banana Plant care pretty straightforward. 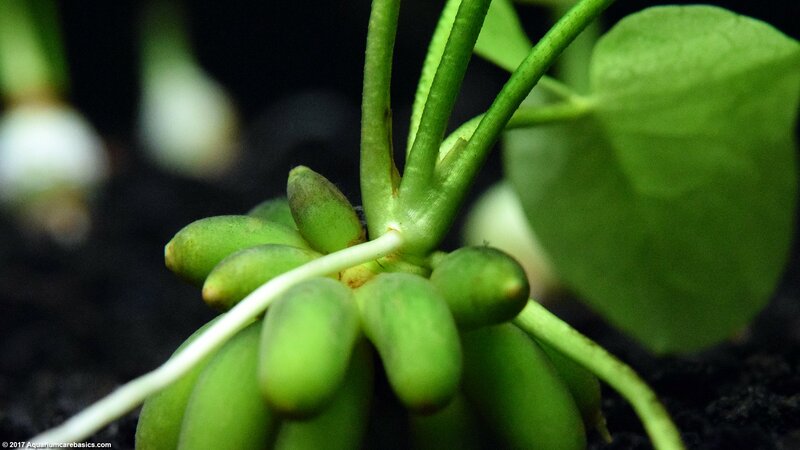 An aquatic banana plant is hardy, resilient and can thrive for a long time under optimal conditions. An Aquarium Banana Plant can do well in nearly any tank size, from a small 10 gallon tank to the largest tanks. 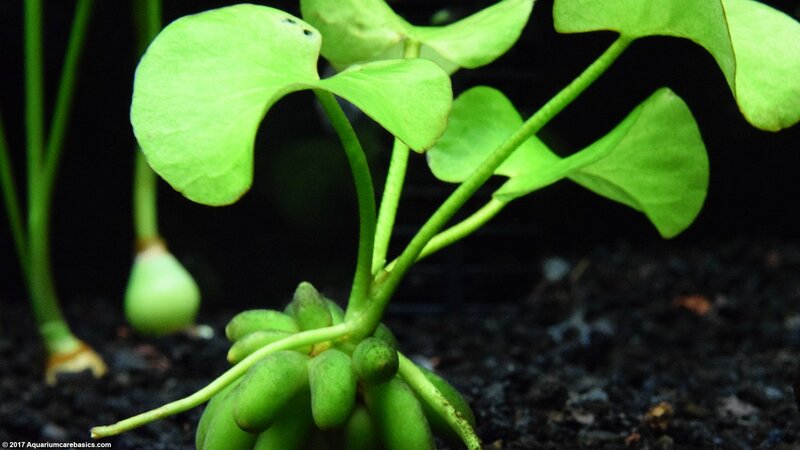 As a foreground plant, it will take root in gravel or substrate, with my preference being black plant substrate because the color of the green tubers really pop against the black background. An Aquarium Banana Plant seems to do well in the same water conditions one would have for a freshwater community tank, or slightly broader. An Aquarium Banana Plant can do really well with moderate levels of light, growing a new leaf once every couple of weeks. It will also grow new roots and runners as well. A banana plant can also do well in lower light situations. This makes it a good choice for beginners with a standard hood and fluorescent light. However, in lower light situations the growth rate will be slower, but the plant can survive. Tanks With Areas Of Calm Water: In tanks with areas of calm water movement, a freshwater banana plant can be left to float just above the gravel or substrate. If left to float, the banana plant will grow roots from the stem area just above the tubers. 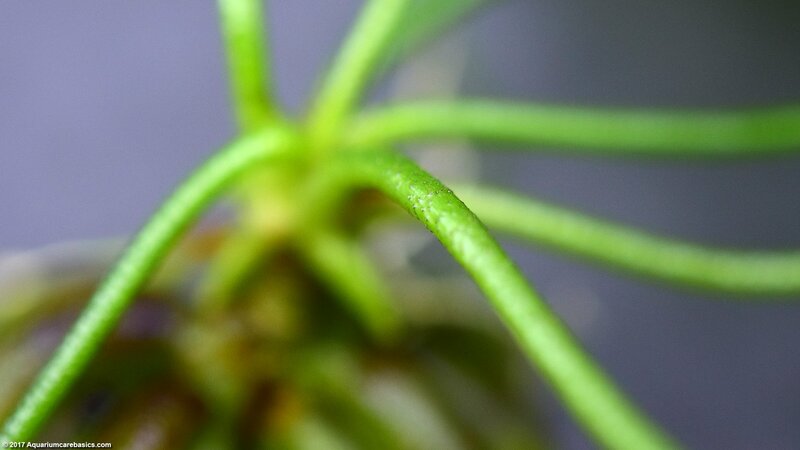 Eventually, the roots will grow down, anchoring the plant into the substrate. 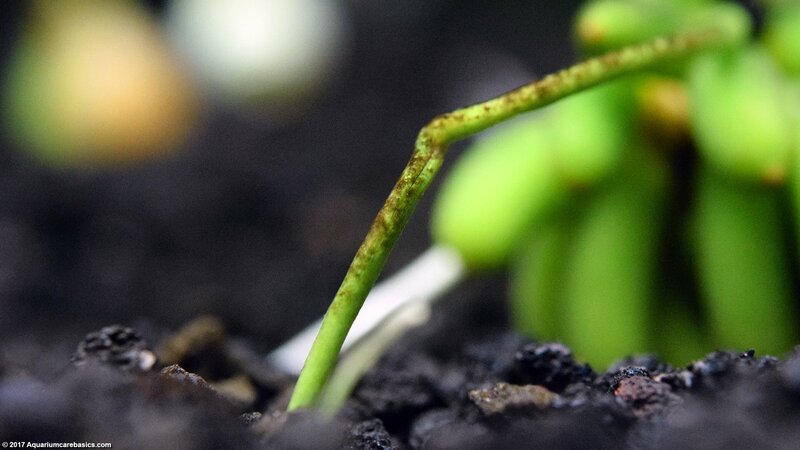 The roots will be bright white at first, but once they anchor themselves into the substrate, the portion of the root exposed to the water and light will turn dark green and appear to “toughen-up”. 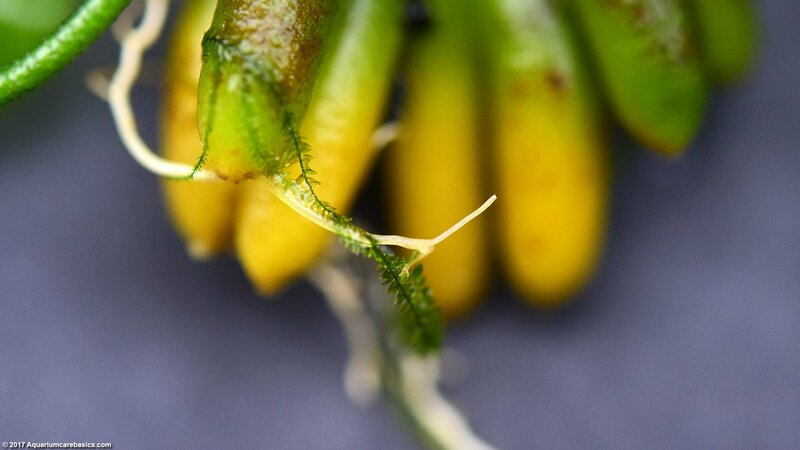 The portion of the root that made its way into the substrate will remain white for a longer time. 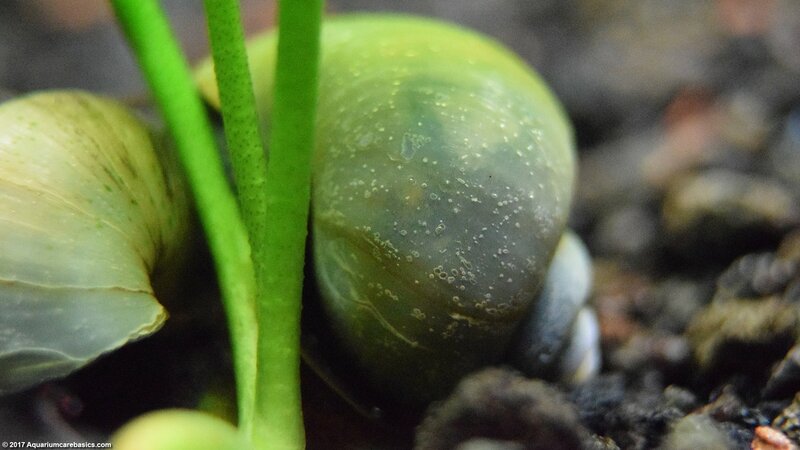 Tanks With More Of A Current: In tanks with areas of stronger water current, hobbyists may be tempted to bury the tubers in the substrate to help keep the Aquarium Banana Plant in place. If this path is taken, its important to not bury any more than 1/4 inch of the tubers in the substrate.